The National Disability Insurance Scheme (NDIS) is being slowly rolled out across Australia. The main NDIS website is here. Below is a video which is a general introduction to the NDIS. The Every Australian Counts website has terrific information about the NDIS. 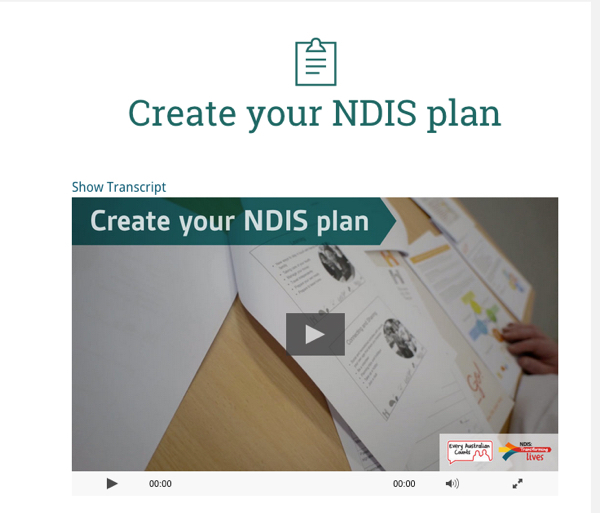 You can start to prepare by reading that, the Create Your NDIS Plan has a helpful video. The news section is good too. By the end of 2019, the NDIS should be in place across the entire country. If you live in an area that already has NDIS, you will find that it has taken over from the state government supports such as Transition To Work and Community Participation in NSW. However the federally funded employment services such as Disability Employment Service will still operate as they do currently. The NDIS - what can it pay for? The My Choice Matters website was created to foster independence and self-advocacy amongst people using the NDIS. The program includes workshops and has a very extensive set of resources on its website. The My Choice Matters Facebook page has great examples of people empowering themselves. My Choice Matters website is here. 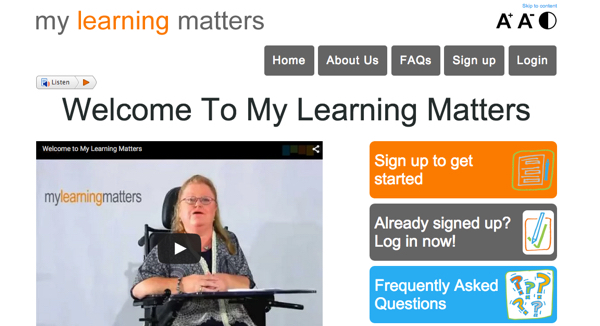 My Learning Matters is an online tool built by My Choice Matters to help you people to get the most out of the changing disability support system. A clear explanation of the NDIS is on this Fighting Chance site . NB DisabilityCare Australia and NDIS are terms which are being used interchangibly at the moment. If your area is already covered by the NDIS, you will find that it has taken over from the state government supports such as Transition To Work and Community Participation in NSW. We will update this page as changes occur with the NDIS.